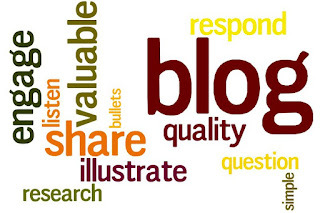 Blogging become very famous that 100s of posts are being published every minute. But everybody will not get succeed in blogging. There are some techniques or tricks you need to follow to get highly targeted and quality traffic towards your blog. So why are you waiting for? Read out.. Here are some ideas or tricks that you should follow after publishing a new post. ◘ Are you in Social Network?? Then Share Share Share..
Social Networks are the key to attain traffic. Until and Unless you socialize your blog posts you cant get targeted views. So I listed some social networks where I personally share after publishing one. ♦ Facebook : Facebook is the greatest social network to get traffic from. After publishing you can syndicate the posts using NetworkedBlogs or else you can manually share. Sharing in groups helps a lot. If you have many fans or friends then make your own group. Build it. ♦ Twitter : Twitter is the place you can get real celebs. Get twitter followers and tweet your posts. ♦ StumbleUpon : Its the Social bookmarking site where people bookmark their favorite pages and share them. ♦ Google+ : There is no second thought when it comes to google products. Sharing in google+ really works. Google+ recently introduced Communities. Its similar to Facebook Groups. Find the Communities that are related to your blogging Topic and post. You can also share your topics in the social networks/bookmarking sites like Delicious, FriendFeed, Tumblr, Technorati, Reddit, Digg and many more. To simplify the sharing process add extensions like Add-This or Share-This Extensions for chrome. You can also add sharing buttons for blog. Pinging means notifying the search engines or any servers that your blog/websites are updated recently. After posting a new post if you ping it to servers then they’ll be notified about the updates done. If you are thinking how to ping, then simply goto below sites listed. Remember! Too much is too bad. Very Often pinging may result in ping spam. Pinging Sites → Ping-O-Matic.com, Pingler.com, Search Engine Pingler..
Utilizing Webmasters Tools efficiently is a great boon to bloggers. In webmasters Tools, there is a useful tool called Fetch As Google. It makes you to submit updated URL to Google. and Also to Submit to Index. Your Pages are made to index in Google manually. If you do all these timely and correctly, no doubt in getting targeted and quality traffic.